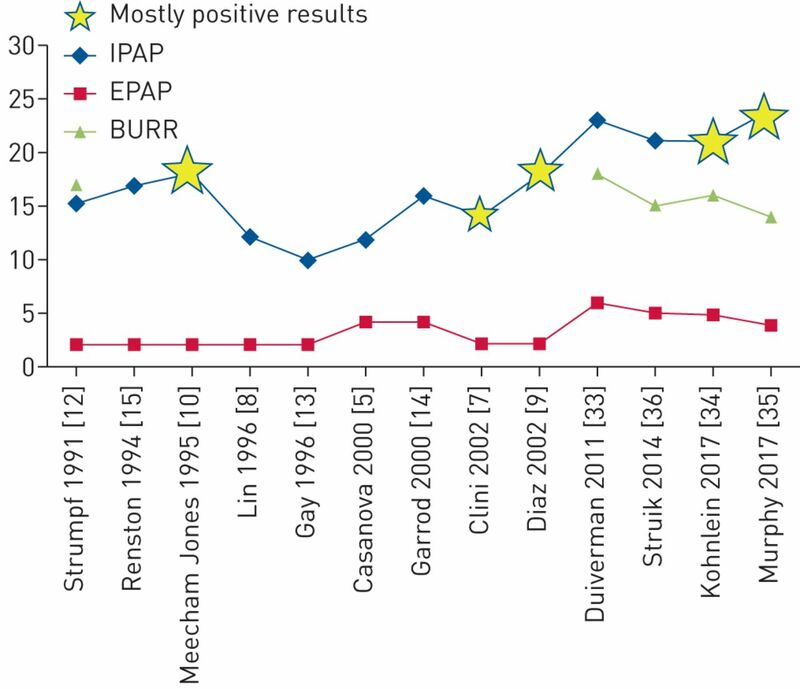 Evolution of ventilatory settings in randomised controlled trials investigating noninvasive ventilation in stable or post-exacerbation chronic obstructive pulmonary disease. IPAP: inspiratory airway pressure; EPAP: expiratory airway pressure; BURR: back-up respiratory rate. Forced expiratory volume in 1 s (FEV1) results in the RECOVER trial. FEV1 was measured at different points for the noninvasive intermittent positive pressure ventilation (NIPPV) + rehabilitation group (red triangles) and the rehabilitation group (blue squares). 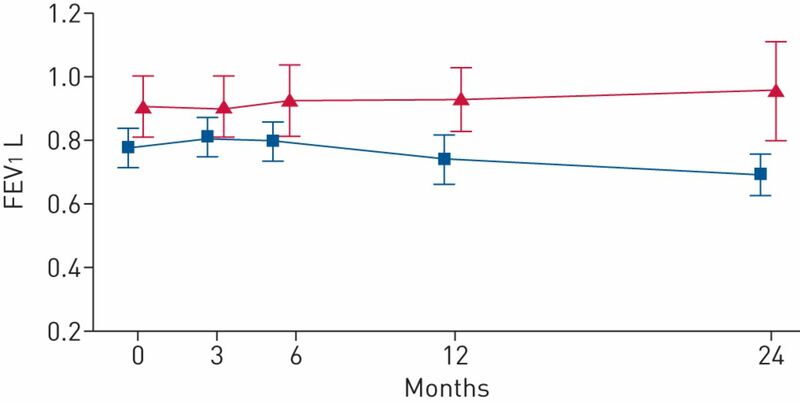 The change was significantly better in the NIPPV + rehabilitation group (p<0.02). Reproduced from  with permission from the publisher. The influence of noninvasive ventilation (NIV) on the delicate balance between increased load and decreased capacity of the respiratory system in severe chronic obstructive pulmonary disease (COPD). The radiography image is reproduced from Radiology Assistant (www.radiologyassistant.nl) with permission.